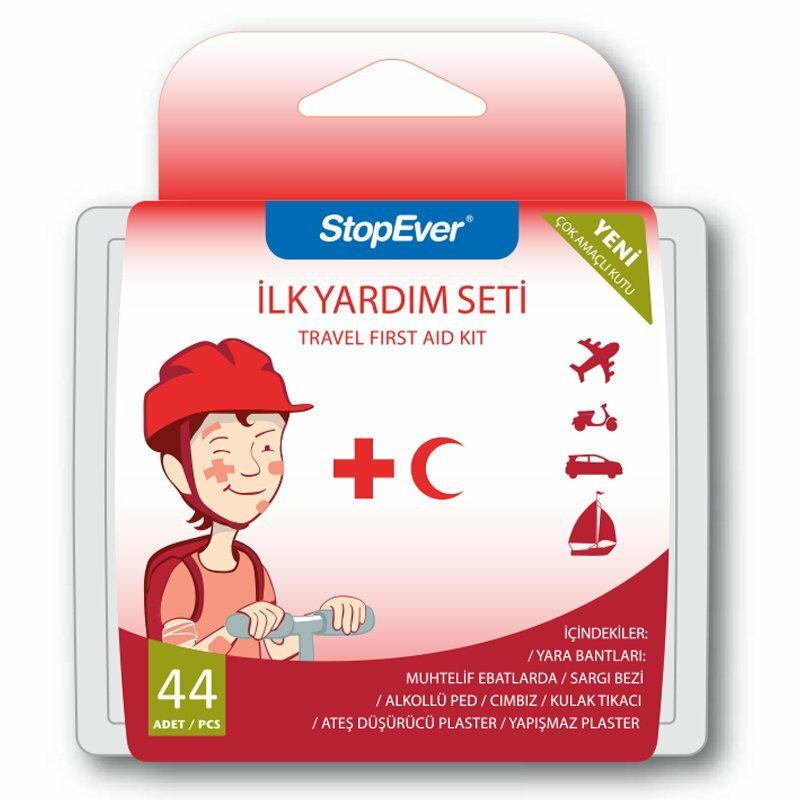 Multi purpose first aid kit with 44 unit content. • 44 Units of product including bandages, pads, tweezers, earplugs, etc., all for use in a case of first aid conditions. • Huge variety of products in one box, easy to carry and use. Security pass friendly, no metal content. Fits everywhere. • Wash/ Disinfect hands properly . • Remove residue or external particles on the wound with the tweezers. • Wash the wound with minimum physical contact and wipe the area gently. • Place any specific bandage or pad properly. Beware to cover all the wounded area. Do not leave the area exposed. Afterwards stabilize the area with PBT bandage. • You can use the ear plugs, if you have any sensitive hearing conditions. Usage against to the exposure of high volume sounds is also recommended. • Cooling patch should be used an aid product to give a relief for high body temperature. • Do not use an already torn/ opened packaging. • Store the package in a cool, dry place. • This product does not content any drug or or product that can replace a drug. • Read the instructions with total care. • In case of any improper usage or doubts, consult a MD or seek for medical aid/ support immediately. 51 mm. x 76 mm. 110 mm. x 40 mm. 50 mm. x 2 mt.